A recent survey shows that an overwhelming number of American doctors, when facing their own death, would decline the extraordinary measures they themselves continually impose upon their patients. So why do they insist on doing it? Indeed, there's a huge discrepancy between what people say they want at the end-of-life (EOL) and the care they actually receive. More than 80% of patients say they'd like to avoid hospitalizations and high intensity care at the end-of-life — but their wishes often fall upon deaf ears. Most terminally ill patients simply want to die with dignity, be as comfortable and pain-free as possible, and die a gentle and natural death at home without burdening their families financially or emotionally. And as a recently concluded survey reveals, an overwhelming number of doctors want the same thing for themselves. Stanford researchers considered the responses of nearly 1,100 doctors in California who participated in a 2013 survey about their EOL care preferences and 790 doctors in Arkansas who completed a similar survey in 1989. Even though these surveys were separated by nearly a quarter-century, they produced similar results. The study shows that 88.3% of doctors would choose "no-code" or do-not-resuscitate orders for themselves if they were terminally ill.
[It] is likely that doctors recurrently witness the tremendous suffering their terminally ill patients experience as they undergo ineffective, high intensity treatments at the end of life and they (the doctors) consequentially wish to forego such treatments for themselves. At the same time, however, doctors tend to order aggressive, life-prolonging treatment for terminally ill patients. Resuscitation can involve efforts such as mouth-to-mouth breathing and pressing on the chest, electric shock to restart the heart, breathing tubes to open the airway, and various medicines. Much of this is thoroughly unpleasant — and ineffective. The comparative analysis of the two surveys was done to see if attitudes had changed in the 24-years since the passage of the Self-Determination Act in 1990. 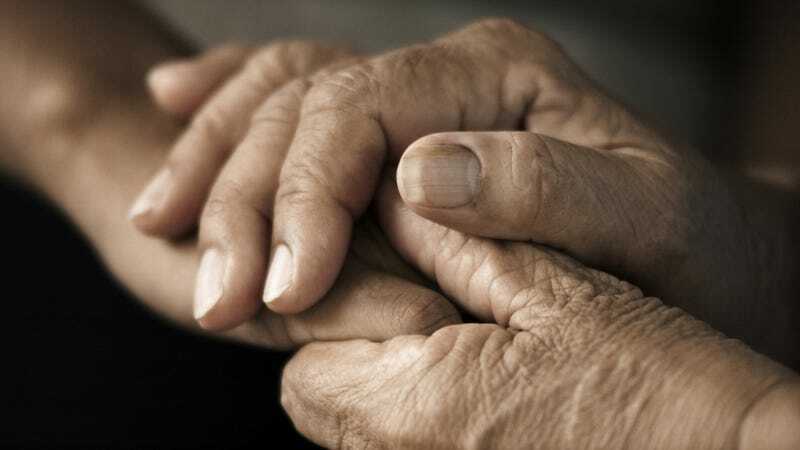 It's a law designed to give patients more control over their end-of-life care decisions, while requiring healthcare organizations to inform patients that they have the option to fill out such directives. The results show that this law has done literally nothing to change doctors' opinions on EOL care. Yet nothing has been done over the years to change the way terminally ill patients are treated. "This study raises questions about why doctors provide care, to their patients, which is very different from what they choose for themselves and also what seriously ill patients want," conclude the researchers in their ensuing paper. Cynics would say that some doctors are just trying to make more money by prolonging and expanding care, or that they're simply insensitive to the desires of their patients. But as palliative care expert and lead author VJ Periyakoil points out, the core of the problem is a biomedical system that rewards doctors for taking action, not for talking with their patients. "Our current default is 'doing,' but in any serious illness there comes a tipping point where the high-intensity treatment becomes more of a burden than the disease itself," noted Periyakoil in a statement. "It's tricky, but physicians don't have to figure it out by themselves. They can talk to the patients and their families and to the other interdisciplinary team members, and it becomes much easier. But we don't train doctors to talk or reward them for talking. We train them to do and reward them for doing. The system needs to be changed." But there are other issues to consider. Doctors tend to be overly optimistic and overestimate the prognosis and life-span of their patients. Importantly, patients receiving higher care intensity in the last six months of life do not have lower mortality rates compared to those receiving lower intensity care. It should also be pointed out that some of the responsibility falls upon the patients themselves; a do not resuscitate order can be filled-out prior to the onset of an illness or extreme age to prevent these measures from being carried out by medical practitioners. But as this and the right-to-die debate clearly shows, we still have ways to go to ensure bodily autonomy and patients' rights. Read the entire study at PLOS One: "Do Unto Others: Doctors' Personal End-of-Life Resuscitation Preferences and Their Attitudes toward Advance Directives."